The Alain Mikli brand is highly renowned in the eyewear sector for its provocative designs, created to be noticed, not hidden away. Its designer pieces offer the ultimate in comfort, with exclusive patents, frames and nose pads chosen to suit every face to perfection. Their non-conformist style (vision aids? No, sculptures for the face) is a hit with connoisseurs of high-impact eyewear and international pop stars alike. The French-Armenian founder (full name Alain Miklitarian) started the brand in 1978; with a blend of innovative design and artisan research, he has fashioned eyewear which stands out for its unique personality. His classic pieces are designed to last, outliving fads and fleeting trends, with a rare form of originality which has won over Grace Jones, Elton John, Lenny Kravitz and Kanye West, to name but a few. The renowned designer has had the same two obsessions throughout his 30-plus-year career: acetate, his favourite material, which is hand-moulded, sculpted and smoothed to produce unusual yet lightweight, comfortable shapes; and red, the colour of passion and love, often paired with black, as well as checkerboard and stripe patterns. His three decades are epitomised by names which are declarations of intent, such as “Correction and Distinction”; the challenge of this decade lies in bringing together the spirit of perfect eyewear with the designer’s creative flair. In 2013 Mikli entered a partnership with Luxottica, which presented their first joint collections to selected journalists and guests in Paris on 9 July 2014. The setting for the debut, Hotel Potocki, a Hotel Particulier located inside the Chamber of Commerce and Industry at 27, avenue de Friedland, provided the ideal setting: a blend of art and design showcasing the new collections through a unique sensory experience, immersing guests in the brand’s unmistakable values and themes. The design installation created for the event was the leitmotif for an “emotional” journey around the world of Mikli and his latest collections. In Paris, with Mikli. The history of the Ray-Ban Aviator dates back to the 1930s, when new airplanes allowed people to fly higher and farther. Many US Army Air Service pilots were reporting that the glare from the sun was giving them headaches and altitude sickness. In 1929, US Army Air Corps Lieutenant General John MacCready asked Bausch & Lomb, a Rochester, New York-based medical equipment manufacturer, to create aviation sunglasses that would reduce the headaches and nausea experienced by pilots, which are caused by the intense blue and white hues of the sky, a new kind of glasses were introduced. The prototype, created in 1936 and known as ‘Anti-Glare’, had plastic frames and green lenses that could cut out the glare without obscuring vision. The sunglasses were remodeled with a metal frame the following year and rebranded as the ‘Ray-Ban Aviator’. On May 7, 1937, Bausch & Lomb took out the patent, and the Aviator was born. Switzerland has long cultivated a vital design culture in which ordinary objects become a veritable aesthetic experience. Zurich is a good example of a Swiss city that attracts creative, cutting edge thinkers like a magnet. The lake, the snow and the wide-ranging mountains expand vision and tantalize the senses. gotti SWITZERLAND remains true to itself and its roots and would rather present a sleek, natural face to the world, instead of one that is exaggerated and excessive. Through the purposeful use of color, in combination with fashion forward designs, Ogi Eyewear and Ogi Kids consistently deliver style with bold, wearable appeal. Seraphin is known by fashionistas worldwide as the romantic hero of neoclassic luxury, rooted in the timeless shapes of a bygone era with a striking modern edge. Innotec unites innovation with technology with its visually striking combination of handmade materials, providing endless lightweight durability. Scojo New York is a ready-to-wear reading glass line known for its unique designs and handmade high quality styles. Ogi Eyewear delivers style and substance through the use of premium materials and diligently placed details, resulting in eyewear that is unrivaled for its design and value. 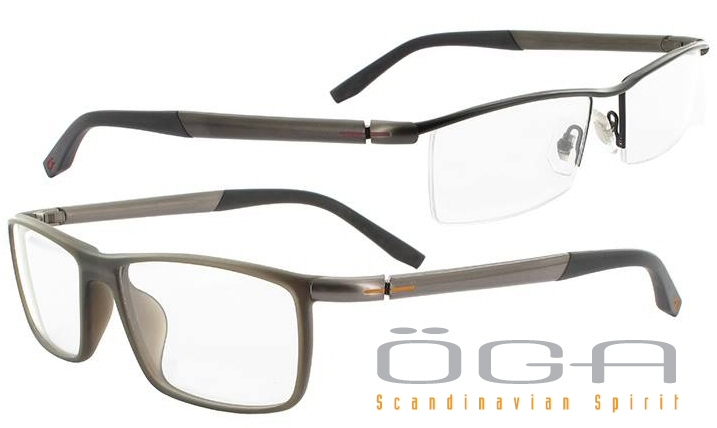 Ogi Eyewear blends sexiness with sophistication at unparalleled affordability. By emphasizing innovation, originality, quality and value, the company has been able to expand its demographic around the globe and gain worldwide recognition. Kazuo Kawasaki, an award winning industrial designer, has approached his signature collection with an artist’s mind for creative design and a mathematician’s mind for precision. 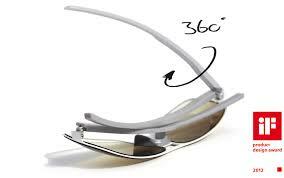 Using simple, yet effective technology, Kazuo Kawasaki’s screwless three-point tension mounted frames offer distinctive designs for any accessions. 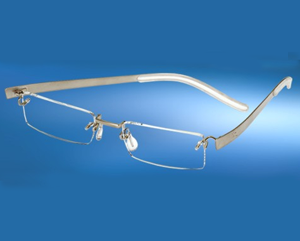 Kazuo Kawasaki frames are constructed of the leading materials in modern frame design, Betta-titanium. 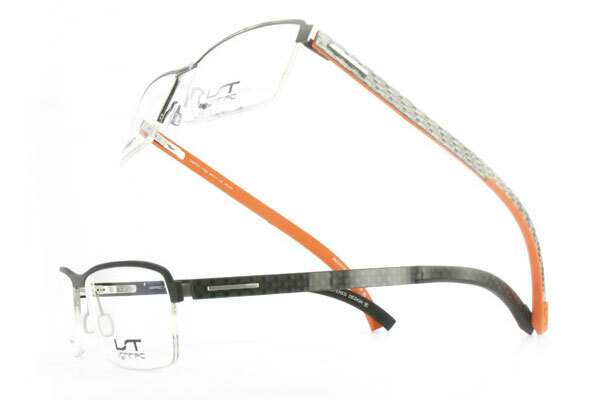 Durable yet light weight, beta-titanium is the ideal counterpart to the sophisticated design philosophy of Kazuo Kawasaki. ic! berlin is a brand that produces glasses in an own manufactory in the heart of Berlin-Mitte. ic! berlin is a child of the new Berlin entrepreneurial scene. Friedrich Liechtenstein lives in the tower room of ic! berlin’s comany building. ic! berlin sells sunglasses but also prescription glasses, reading glasses and designer glasses. ic! berlin frames are beautiful, precious and very light. They are made of sheet metal or acetate, or a mix of these two high quality materials. The sophisticated patented screwless hinge system is unique, refined yet distinct. With it people in the ic! berlin “community” recognize themselves all over the world. A good way to get into conversations, to create interesting contacts, even to fall in love. 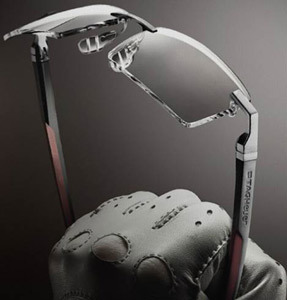 Combining space and elegant use of materials, the Öga Copenkast concept adopts an architectural approach to eyewear with its taut and fluid lines. The patented spring-hinge system, with cam return and anti-rocking effect, is provided by a visible spring blade to create a truly decorative element. Total quality as point of departure, constant innovation without abandoning tradition, searching and selection of materials combined with impeccable manufacturing are the product characteristics of this brand, an icon of “Made in Italy”, founded by Mario Prada in 1913 and later developed into an international business by Miuccia Prada and Patrizio Bertelli. Prada is outstanding not only in terms of its high quality but also its innovative style and approach, which have always managed to anticipate and often influence tendencies in all sectors. TAG Heuer has always maintained a constant quest for innovation and excellence, aiming for the peak of performance, prestige and excellence. Years of work, passion and creativity have gone into making it one of the top brands in the luxury eyewear industry. For more than 130 years, the Morel company has embodied the know-how of the French eyewear industry, carefully following the traditions and respecting the values of Jules Morel, its founder. Over the generations, this know-how, the company’s foundation stone, has continued to grow. The artisan workshop set up in 1880 is now an innovative company famous for its quality and design. While remaining faithful to our heritage and preserving our independence, we have adapted to changes in the market, as demonstrated by the strong development of our brands around the world over a number of decades. The movement of plant life has inspired the Koali designer for this new concept known as Chloris: fluidity expressed through material.With Chloris, material and color drive the design. An original result for this stylish frame designed for women who want to assert their personality. Our brands include MODO, ECO, Derek Lam, 10 Crosby, and several others. MODO is a global company, with offices in New York, Milano, and Stockholm. 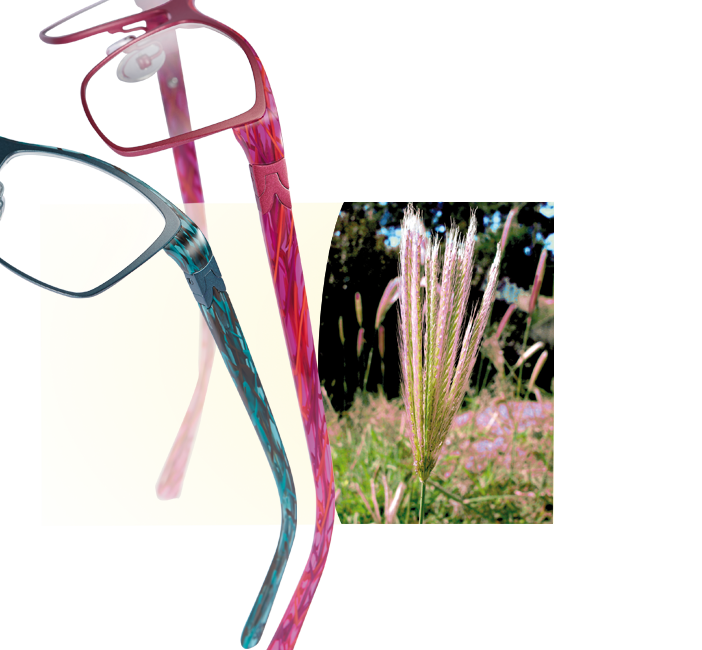 Today, MODO drives the eyewear industry’s effort in sustainability and social responsibility. With initiatives such as producing frames with 95% recycled content or biobased materials (our ECO brand), planting a tree for every frame a customer purchases (ECO’s “One Frame – One Tree”), or giving free spectacles to those in need (MODO’s “Buy a Frame – Give a Frame”), MODO is a pioneer in merging style and purpose.